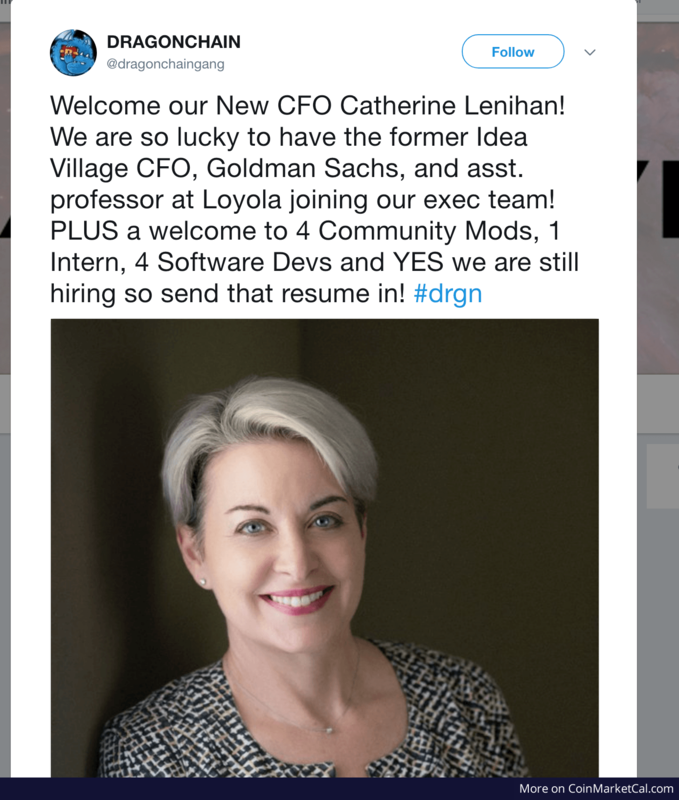 New CFO Catherine Lenihan joins Dragonchain. She is a former Idea Village CFO, Goldman Sachs, and asst. professor at Loyola and 4 new Mods.